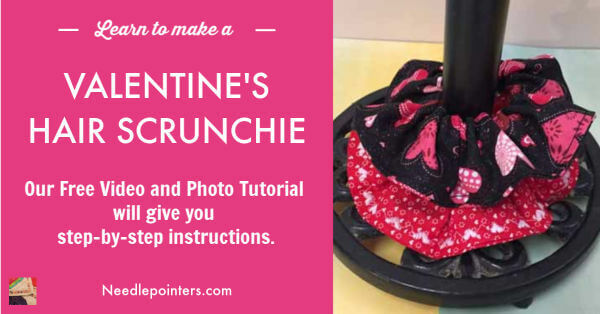 Learn how to make a scrunchies for Valentine's Day. 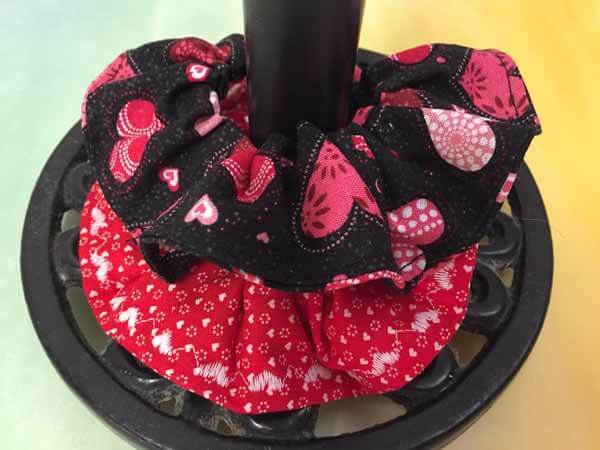 By using different fabric you can make scrunchies for any occasion or fashion outfit. 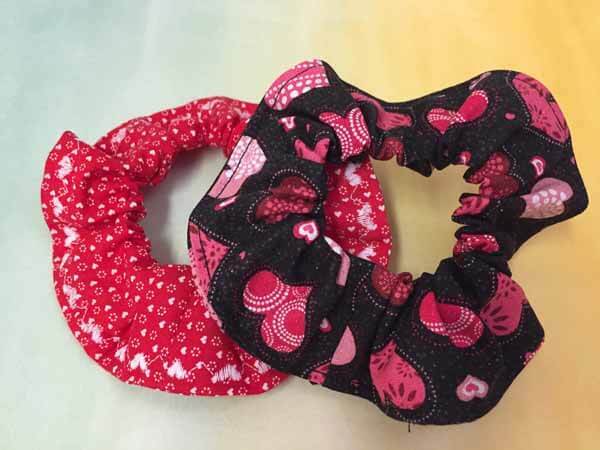 Do you need other sewing ideas or project? 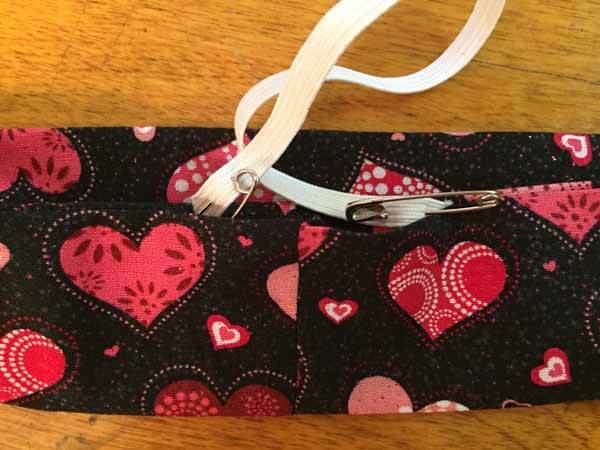 Look to the right for a link to all of our "Sewing Videos". Our Free Sewing Projects page also lists over 600 free sewing projects and patterns. 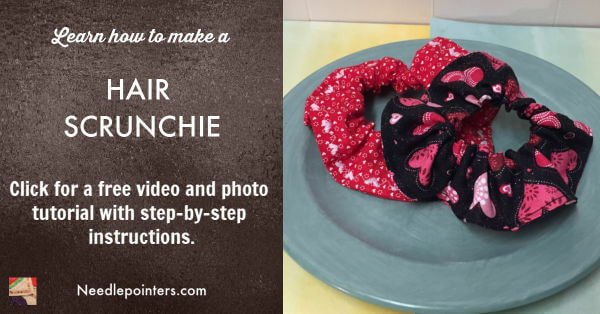 Watch this video tutorial and read the following easy step-by-step picture tutorial to make scrunchies. 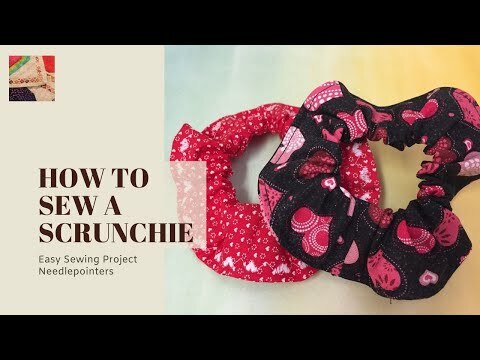 Click to watch the How to Sew a Hair Scrunchie video in Youtube. Cut a rectanglar piece of fabric 18" x 4". 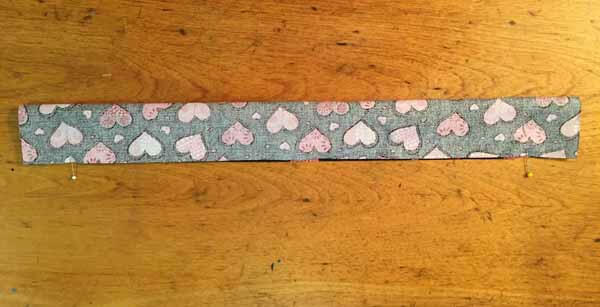 Measure and cut a piece of elastic 8" long. 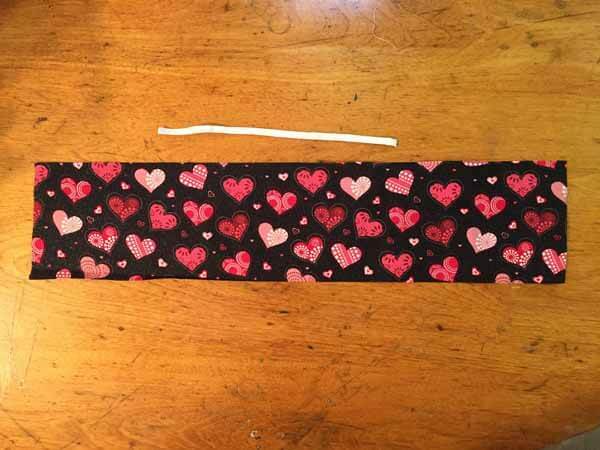 Fold the fabric in half lengthwise with right sides together. Place a pin 1 1/2" from each end. You will be sewing between the pins. Using the edge of the presser foot as a stitch guide, begin sewing at the pin, 1 1/2" from the top and stop at the other pin, 1 1/2" from the bottom. 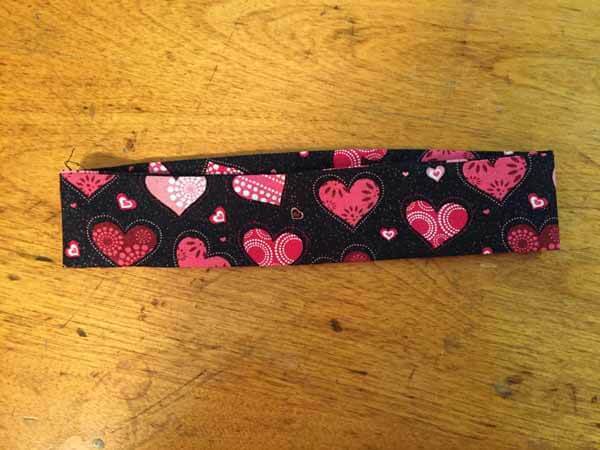 With a tube turner or your preferred method, turn the fabric tube right side out. I find a Dritz Quick Turn is my product of choice for turning tubes because it make the process so easy. For our video tutorial on how to use the Dritz Quick Turn and to purchase one for yourself, scroll to the end of this article. With right sides together, align two short edges together and pin in place. Sew together using the edge of the presser foot as the seam guide. Finger press this seam open. Then, press the scrunchie flat. Attach a safety pin to one end of the elastic and feed the elastic though the tube making sure not to loose the other end of the elastic in the tube. To make sure the other end of the elastic does not slip accidentally into the tube, I safety pin the elastic end to the fabric. 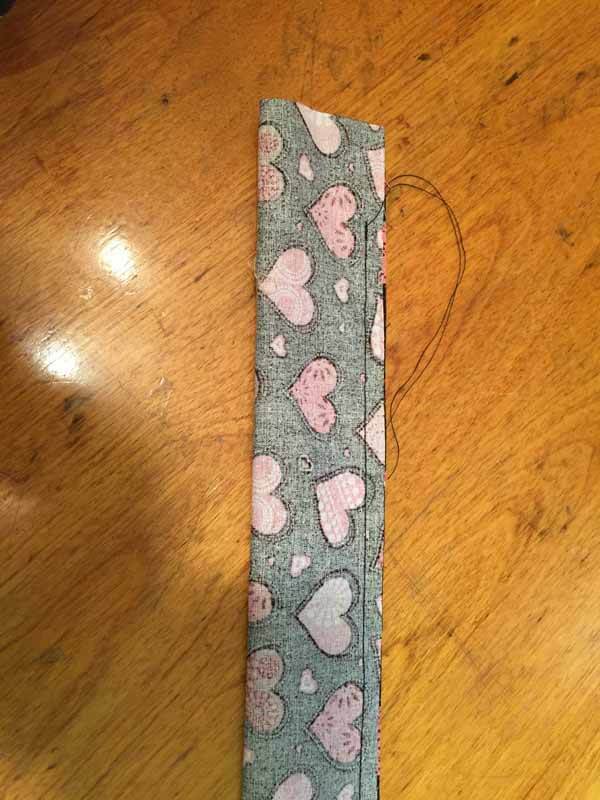 Overlap the ends of the elastic and stitch them together by hand or with a sewing machine. Close the opening by either hand stitching it closed or edge stitch around the outside edge. If you are not sure how to edge stitch, our Edge Stitch Tutorial.would be helpful. A straight stitch or a decorative stitch can be used. 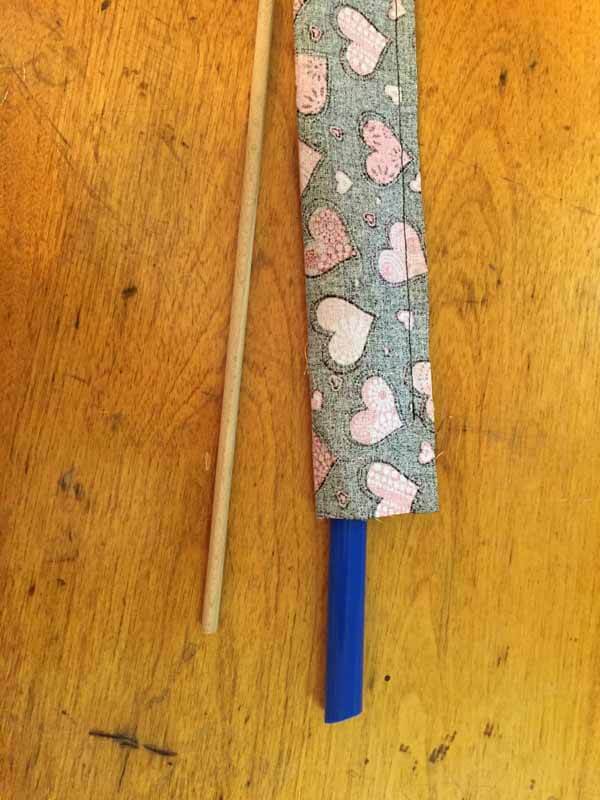 Learn how to turn fabric tubes, right side out, quickly and easily.